Paramount Pictures has unveiled the first full movie trailer for the next chapter of the beloved Ring horror movie franchise. 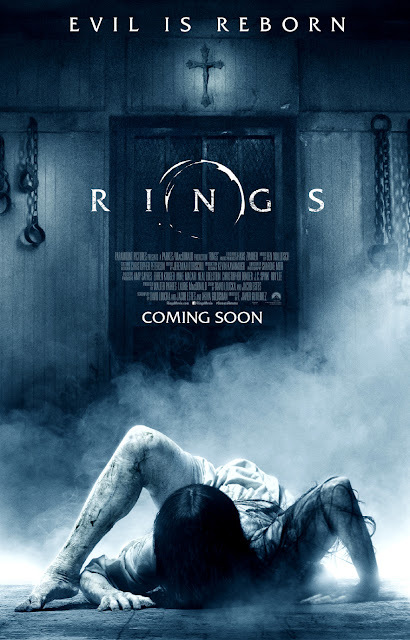 The evil Samara is definitely back to give more scares, thrills, and frills in this new and upcoming "Rings" horror movie. Directed by F. Javier Gutierrez (“Before the Fall”), “Rings” stars Matilda Lutz, Alex Roe, Johnny Galecki, Aimee Teegarden and Bonnie Morgan. The new "Rings" horror movie will open and will give a whole new scare in Philippine Cinemas on November 9th, 2016. The new “Rings” movie is distributed in the Philippines by United International Pictures through Columbia Pictures. Watch the new "Rings" full movie trailer below.